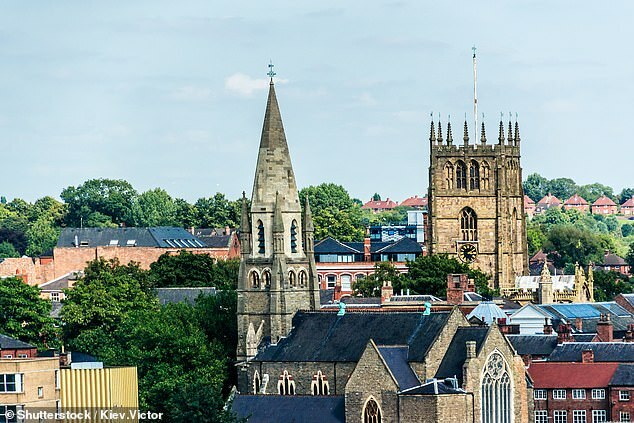 Leicester saw the fastest growth, with prices up 6 per cent, followed by Belfast, where prices rose 5.8 per cent, and Manchester where growth stood at 5.4 per cent, according to the latest report by Zoopla. Prices continue to fall in Aberdeen, down 2.4 per cent, while London house price inflation is virtually flat at 0.2 per cent. Zoopla said there’s been slowdown in the annual rate of growth across 13 out of 20 cities, as a mix of affordability pressures and uncertainty have impacted the pace of house price growth. The sharpest slowdown in growth over the last 12 months has been registered in Edinburgh, Bournemouth, and Portsmouth – cities in which growth more than halved over the past year. 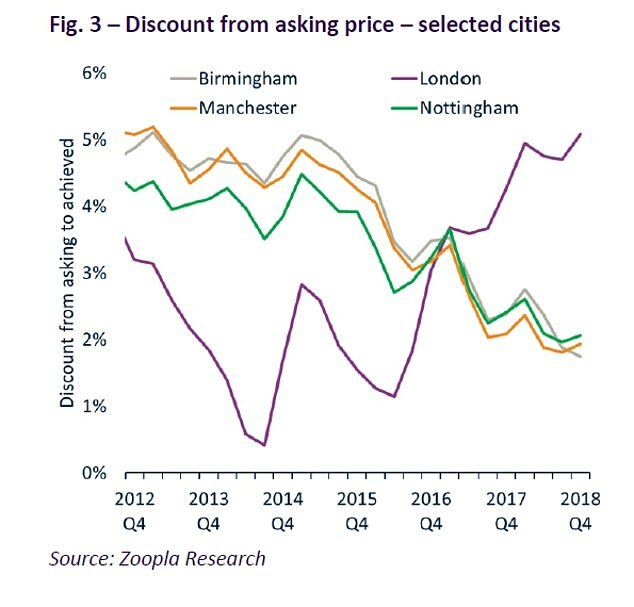 But Nottingham, where prices rose by a steady 4.6 per cent, had the most dynamic market, with average asking price discount of just 2 per cent and less than 2 months to achieve a sale. 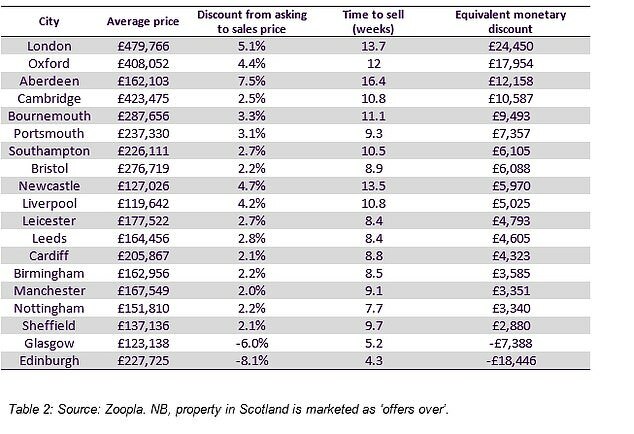 In contrast, in inner London and Aberdeen average discounts were much larger at 7 per cent and it took sellers double the time – four months – to sell their homes. 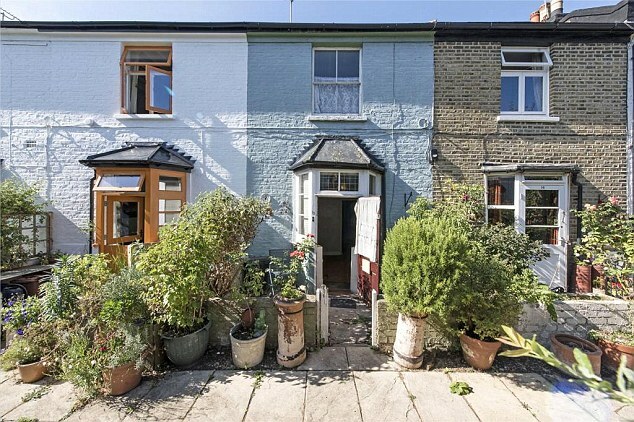 Across London as a whole, homes take on average 3.5 months to sell and vendors accept £24,500 less than the asking price as the gap between asking and sales price has widened from just 1 per cent three years ago to 5.1 per cent today. Discounts are largest in inner London where price falls are most concentrated, Zoopla said. Birmingham, for example, has a relatively strong market. Sellers there have to make small price reductions of just over 2.2 per cent on average to their asking prices and properties take about two and half months to sell. Edinburgh and Glasgow have the fastest time to sell a property and achieved prices are on average 6 per cent to 8 per cent higher than the asking price. But homes in Scotland are typically marketed as ‘offers over’, or meaning the asking price is the lowest that the seller will accept. That is usually done by estate agents if they think properties will attract competitive offers. 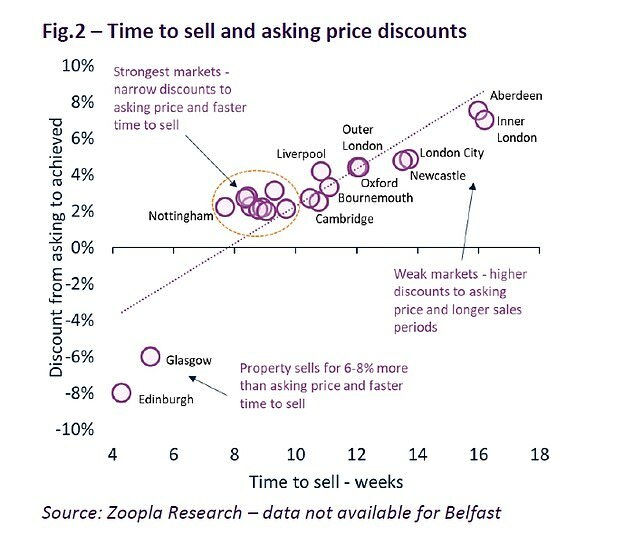 Zoopla said in terms of prices, there’s been slowdown in the annual rate of growth across 13 out of 20 cities, as a mix of affordability pressures and uncertainty impact the pace of house price growth. Zoopla said that while uncertainty has impacted the headline rate of growth, demand for housing is holding up better than many had expected. Richard Donnell, research and insight director at Zoopla, said: ‘Underlying market conditions remain strong in regional cities with the discounts from asking prices continuing to narrow as low mortgage rates and rising employment continue to stimulate demand for housing.